ROCHESTER – In an event that is being heralded as nothing less than a holiday miracle, local man Will Dolihan unexpectedly awoke from a fourteen year coma this week. "Mr. Dolihan was nineteen years old at the time of the motorcycle accident which resulted in his long-term, persistent vegetative state," explained Dr. Wilson Song, the attending physician at the Mayo Clinic overseeing Dolihan's recovery, in his address to the media. "He's now thirty-three years old." "This is, by far, the most extraordinary case that I've encountered in my career. The patient's traumatic brain injury was far less severe than one would expect to find in a coma patient and, despite the extreme length of his unconsciousness, his cognitive faculties are incredibly high. We've confirmed that he can move his eyes, listen, and unbelievably, he has even begun to speak. The medical community is astonished. Honestly, it's like something out of a movie." Although the road to recovery is long and uncertain, Will Dolihan's sudden and unexpected revival has garnered international attention, with many speculating at how he will come to terms with the passage of so much time, the changes in the world, and his own personal transformation. Surrounded by family and under the constant supervision of medical staff, Dolihan is reported to be in "stable condition" but has understandably exhibited acute signs of confusion and agitation. "Billy is adjusting," whispered Shana Dolihan, his mother, looking spent as she stroked her sleeping son's hand. "It's a lot to take in, you know? I-I just can't believe that he's back. My little boy… my sweet little boy…"
Dolihan's medical team has strived to be delicate in introducing him to his present condition, trying to be mindful of triggers which could send their patient into a state of shock. "There have been a few incidents," shared Ellen Paul, the supervising nurse. "The first one was seeing his younger sister, grown up now and with a seven-year-old son. He didn't recognize her at first." "We had to sedate him," finished Paul. The exceptional circumstances have led to clashes between medical staff and family members. "They don't want us around, plain and simple," grumbled Greg Dolihan, his father. "They tell us they need to 'control the situation.'" "So I tell them, you watch your son lay in a hospital bed like the living dead for over a decade and then, when he can finally hear your voice again, I'll tell you that you can't see him, and we'll see you what you do." Tensions have risen recently following an incident involving Dolihan's new nephew, seven-year-old Jesse, whom he noticed looking surreptitiously at his Nintendo 3DS and engaged him in a conversation about it. "What have you got there?" rasped Dolihan, weakly turning his head and eyes towards the device. "It's my DS," responded the child. "I'm playing Pokémon Y. I picked Fennekin as my starter pokémon." "Fennekin?" asked Dolihan. "You know, I used to play Pokémon too – a long time ago though, I guess. But I've never heard of Fennekin. Is that a new one?" "Yep!" answered the boy, approaching Dolihan to show him on the unfamiliar, colorful, dual-screen handheld, as hospital staff and family members stood frozen at the scene unfolding. "He's a fire pokémon." 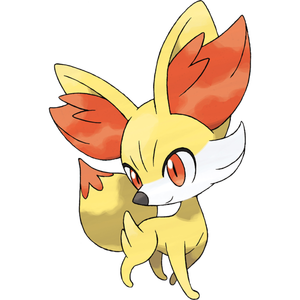 Straining his eyes to look, Dolihan watched as his nephew navigated to the Pokédex entry for Fennekin, a fire fox creature, curiously noting its description as "Number 653." "That's very cool," said Dolihan, smiling faintly despite the effort of focusing and speaking having noticeably cost him. "How many pokémon are there now?" "718," the boy answered without hesitation. Dolihan opened his eyes wide and groaned suddenly, startling the child who retreated back towards his mother. "There used to only be 150," he whispered to the room, to no one in particular. And, after a moment of silence, he said, "I need to rest, please." Then, dimming his eyes again as his parents and sister approached him and gently kissed his forehead, told him that they loved him, and that they would be right here when he woke up, Will Dolihan silently withdrew into his thoughts, grasping to understand a world with over 700 hundred pokémon now – where did they all come from? – and starting to fear what else was in store for him, as his eyes began to sting from the strangeness of tears.